Savvy Spending: Get $10 in FREE Shop your Way Points! Use at Sears or Kmart! Get $10 in FREE Shop your Way Points! Use at Sears or Kmart! 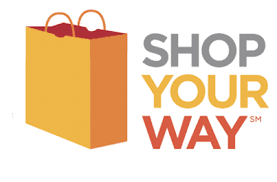 You can get $10 in free Shop Your Way Points to be used at Sears or Kmart when you take a short survey. This survey takes about 2-3 minutes to complete and the points will be loaded to your account upon completion – they will expire on 10/31/2018.